Jacob Abraham Camille Pissarro (1830-1903) was born on the Caribbean island of St. Thomas to a Sephardic Jewish family of Portuguese and French ancestry. Pissarro’s father sent him to a Paris boarding school when he was 12, and it was there that he was first exposed to art, learning to paint and draw. Pissarro returned to St. Thomas at 17 to work in his father’s business, and would spend every spare moment painting. At 21, he became a professional artist and moved to Venezuela, then settled in Paris four years later. 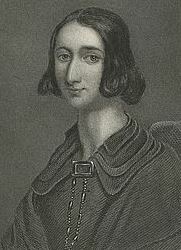 There, he apprentice under some of the great painters of the time, including Melbye and Corot. Unlike them, Pissarro wished to paint realistic scenes, and focused on capturing natural landscapes and village life. During this time he met fellow young realists like Monet and Cézanne. Soon, Pissarro was the most famous of them all, with one critic of the day describing him as being able to paint “the smell of the earth”, and another ranking him among the “three or four true painters” of the time. During the Franco-Prussian War, Pissarro lived in a village near London and experimented with a new style that would later be called Impressionism. Upon returning to France years later, Pissarro found that only 40 of his paintings survived the war out of a total 1,500 – twenty years worth of art. Frustrated by the Paris Salon that set standards in art and alone determined whose work could be exhibited, Pissarro decided to start a new art society. He recruited fifteen fellow painters to do so. The others would see him as a father figure, especially because of his long, grey beard (despite being as young as they were). He was described as having the “look of an ancestor who remained a young man”. In 1874, the new society held their first exhibit to display their new form of Impressionist art. For several years afterwards, Impressionism was a very controversial style, with critics either absolutely loving it or hating it. 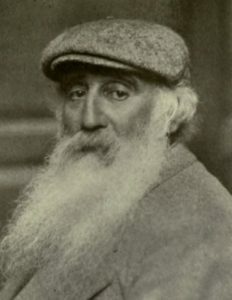 Pissarro would later be credited as “the first Impressionist”. Meanwhile, he became a hero for all young painters for taking a stand against the Salon. Pissarro left the Impressionist fold shorty after, and began to study under painters of the pointillist style. He would go on to fuse the two styles into Neo-Impressionism. By this point, Pissarro was seen as perhaps the most versatile painter in the world, with an “extraordinary capacity to change his art”. In 1884, he took a young Vincent van Gogh as an apprentice. Pissarro continued to paint until the last days of his life, despite a chronic eye infection that weakened his vision, and the persistent financial struggles he faced his entire life. Pissarro was known for his youthful energy, his warmth, humility, wisdom, and gracefulness. Cézanne considered him like a father, and said of Pissarro that he was “a little like the good Lord.” While his works didn’t sell so well in his own lifetime, they are among the most coveted in the world today. One of his paintings was auctioned off for a whopping £19.9 million in 2014. Four of Pissarro’s seven children became noted painters of their own, as are a number of his great-great-grandchildren today. 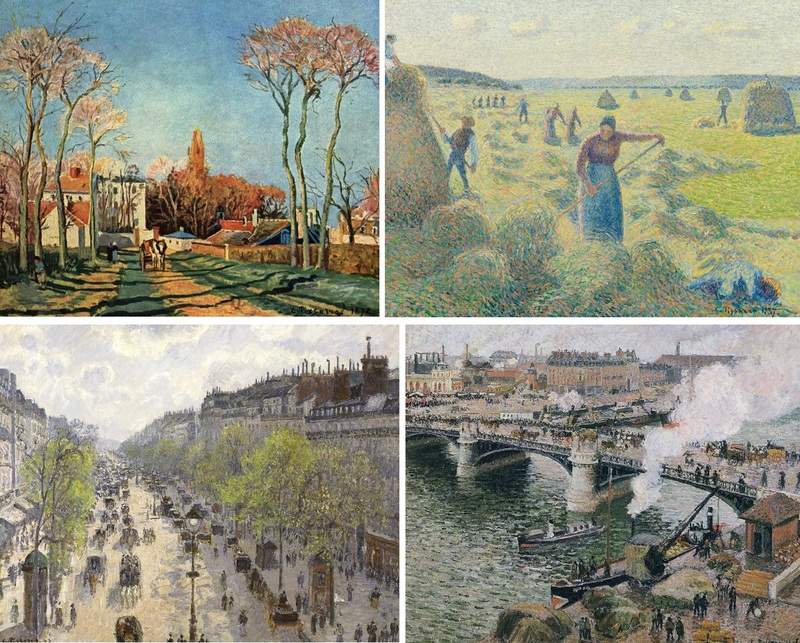 Some of Pissarro’s most famous painting, clockwise from top left: Entrée du village de Voisins (1872), La Récolte des Foins, Eragny (1887), Pont Boieldieu in Rouen, Rainy Weather (1896), Le Boulevard de Montmartre, Matinée de Printemps (1897) – which sold for £19.9 million. This entry was posted in Arts & Entertainment and tagged Cézanne, Danish Jews, French Jews, Impressionist, London, Neo-Impressionist, Painters, Paris, Pissarro, Sephardic Jews, St. Thomas, Venezuela, Vincent van Gogh on September 7, 2018 by Jew of the Week.